Work for Apttus Revenue Management? "Great product for inter office use"
iNovah is an end to end solution for payments, reporting and auditing that integrates single payment source systems and eliminates finance and technical management costs. Tensoft Revenue Lens helps to manage revenue transactions, deliver real time visibility and it helps meet ASC 606 and IFRS 15 requirements, and runs with any accounting or ERP system. 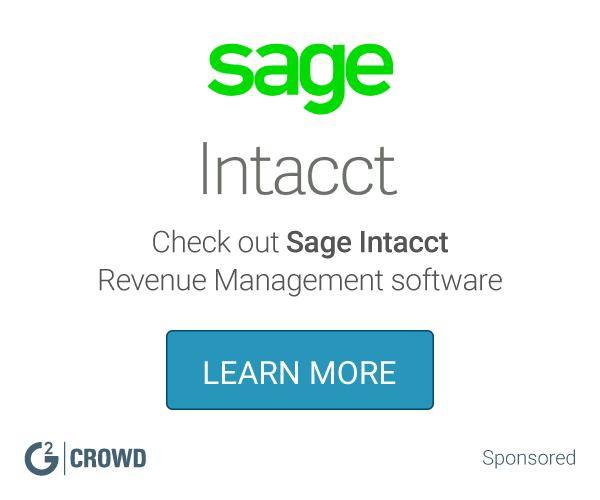 Learning about Apttus Revenue Management? * We monitor all Apttus Revenue Management reviews to prevent fraudulent reviews and keep review quality high. We do not post reviews by company employees or direct competitors. Validated reviews require the user to submit a screenshot of the product containing their user ID, in order to verify a user is an actual user of the product.